Pharmacy benefits manager Express Scripts will acquire care management vendor EviCore Healthcare for $3.6 billion. Private equity firm General Atlantic formed EviCore in 2014 in merging its acquisitions CareCore (acquired in January 2014 for an undisclosed price) and MedSolutions (acquired in November 2014 for a reported $1 billion). The company renamed itself to EviCore in June 2015. EviCore was rumored to be seeking a buyer in May 2017 in hoping for a valuation of more than $4 billion, but was simultaneously planning an IPO in case no acceptable offers were made. EviCore Chairman and CEO John Arlotta has worked for General Atlantic and was previously president of Express Scripts competitor Caremark RX (now CVS Caremark). Every October Lorre offers a deal for new HIStalk sponsors – sign up now and get the rest of 2017 free. Contact her if you want in before the usual pre-HIMSS rush that, shockingly, will be here before we know it. I wanted to buy a baby monitor for some relatives who are new parents and ran across this IP-based camera that was so cool I had to get myself one afterward. 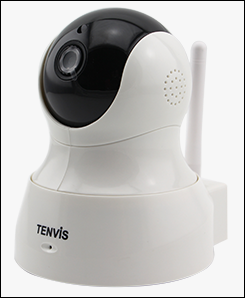 The TenVis HD camera features two-way audio, rotation, night vision with 32-foot range, a micro SD card slot for recording, optional emailing of a snapshot or a telephone alert when it detects movement, and an app that allows viewing real-time video from anywhere. That’s a lot of technology in a $40 device. Setup was nearly instantaneous over WiFi, although I had to throttle back my router to 2.4 GHz for configuration and then switch it back to 5 GHz afterward because of some quirk. I don’t need to monitor babies, but it’s fun to check out what’s happening in the living room from anywhere in the house or anywhere in the world, while other Amazon reviewers love it for keeping an eye on elderly parents or driving their dogs crazy by talking to them from afar. My gift recipients report an added benefit that I hadn’t thought of – they’ve given the far-away grandparents access so they can take a wistful look at the little one whenever they want. October 17 (Tuesday) noon ET. “Improve Care and Save Clinician Time by Streamlining Specialty Drug Prescribing.” Sponsored by: ZappRx. Presenter: Jeremy Feldman, MD, director, pulmonary hypertension and advanced lung disease program and medical director of research, Arizona Pulmonary Specialists. Clinicians spend an average of 20 minutes to prescribe a single specialty drug and untold extra hours each month completing prior authorization (PA) paperwork to get patients the medications they need. This webinar will describe how Arizona Pulmonary Specialists automated the inefficient specialty drug ordering process to improve patient care while saving its clinicians time. 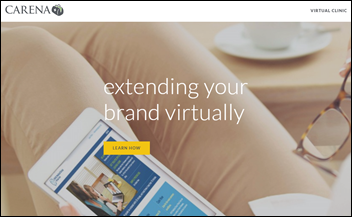 Telahealth technology vendor Avizia acquires Seattle-based virtual clinic operator Carena. 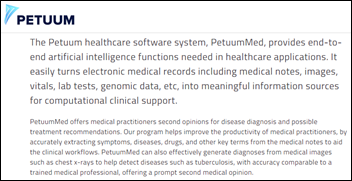 Pittsburgh-based AI vendor Petuum — which is developing products for several industries including an EHR-powered disease and treatment module — receives a $93 million investment, increasing its total to $108 million. Two of the three founders earned PhDs from Carnegie Mellon University in computer science and machine learning, respectively. 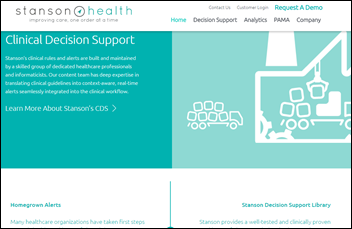 Aetna selects Stanson Health to automate its clinical prior authorization process by integrating with provider EHRs to collect both discrete and free-text information. Southwestern Health Resources (TX) chooses Phynd’s provider management system that will integrate with its Epic and credentialing systems, managing 50,000 providers in 31 hospitals. Chris Mathia (Hyland) joins Innara Health as EVP of sales. Clinical Architecture releases version 2.0 of its Symedical enterprise terminology management platform. EClinicalWorks announces that its EHR now supports the OpenNotes initiative in allowing clinicians to share visit notes with patients via its patient portal. 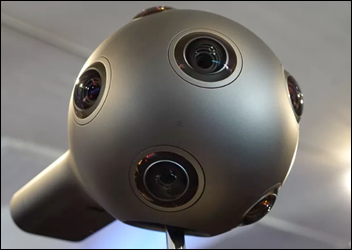 Nokia will cease development of its $45,000, 360-degree Ozo virtual reality camera for filmmakers, saying that the VR market is developing more slowly than the company expected. Nokia will focus on digital health, enabled by its June 2016 acquisition of France-based consumer medical gadget vendor Withings for $191 million. 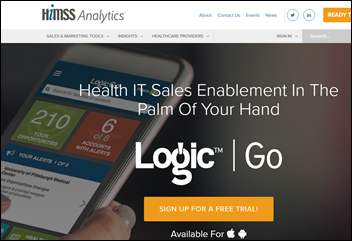 HIMSS Analytics launches a mobile version of its Logic database, giving health IT salespeople access to information about provider organizations and their technology-related activities. 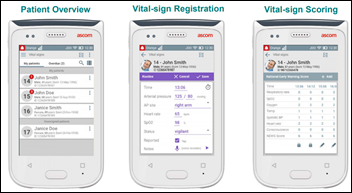 Switzerland-based Ascom releases Digistat Vitals, which allows bedside EHR entry of vital signs and clinical scores in eliminating double entry and paper transcription. PatientKeeper announces a hosted version of its physician charge capture solution. A study finds that the FDA‘s requirement that direct-to-consumer drug advertisements list side effects paradoxically increases sales of potentially dangerous drugs. 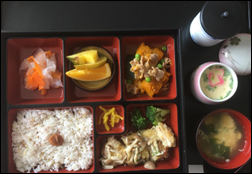 The “argument dilution effect” leads consumers to assume that the mandatory long list of possible side effects – some of them included because of frequency of occurrence rather than severity – misleads them into thinking a drug isn’t likely to harm them. A former Missouri nursing home company CEO is sentenced to 41 months in prison and ordered to pay $667,000 in restitution for using Medicaid payments to pay for strippers, casinos, and country clubs as residents of his facilities were given clear broth as meals and did not receive their meds because the company failed to pay its pharmacy provider. 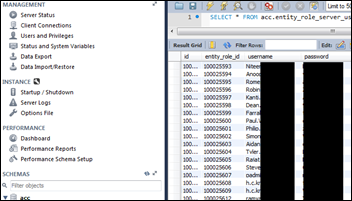 Security researchers find an unsecured Amazon Web Services S3 file containing the medical information of 150,000 people, apparently patients of anticoagulant monitoring company Patient Home Monitoring Corporation. In a related item, another security firm finds four unsecured, Accenture-owned AWS S3 buckets holding customer decryption keys, passwords, and certificates. Ironically, the exposed information includes software for Accenture Cloud Platform, the company’s enterprise cloud offering. It isn’t just our reasoning that takes a hit when phones are around. Social skills and relationships seem to suffer as well. Because smartphones serve as constant reminders of all the friends we could be chatting with electronically, they pull at our minds when we’re talking with people in person, leaving our conversations shallower and less satisfying … The evidence that our phones can get inside our heads so forcefully is unsettling. It suggests that our thoughts and feelings, far from being sequestered in our skulls, can be skewed by external forces we’re not even aware of … A quarter-century ago, when we first started going online, we took it on faith that the web would make us smarter: More information would breed sharper thinking. We now know it isn’t that simple. The way a media device is designed and used exerts at least as much influence over our minds as does the information that the device unlocks. 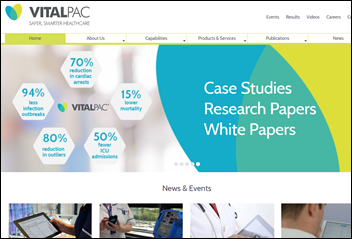 In England, the local paper covers the use by King George Hospital of Vitalpac, an iPad-based vital signs documentation system from System C Healthcare that has reduced hourly rounding time by 75 percent. McKesson bought England-based System C for $140 million in 2011, then sold it to private equity form Symphony Technology Group in 2014 as McKesson began its health IT exit. 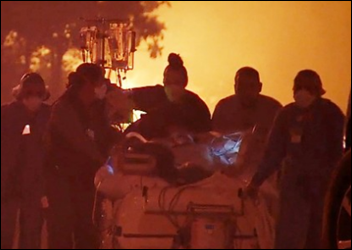 Two Northern California hospitals – Santa Rosa Memorial and Queen of the Valley Medical Center — evacuate patients after Wine Country wildfires spread to 100,000 acres, burning down 1,500 buildings and killing a least 11 people. If there’s such a thing as wine futures, now would be a great time to load up. Alerting clinicians about possible omissions in care based on evidence. 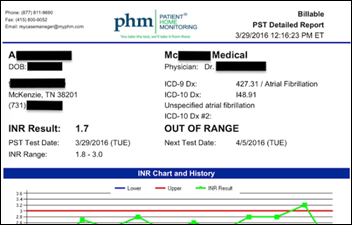 Adding transparency to patient and family engagement with ICU electronic patient scoreboards to prevent blood clots. Providing intelligence, such as auto-ordering of labs when specific drugs are ordered. Blocking orders for high-cost imaging studies that are not supported by evidence. 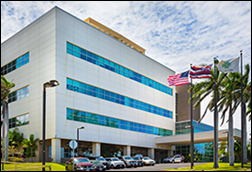 The local paper reports that three-hospital Maui Health System (HI) has experienced a few technology problems in the first 100 days of turning over operation of the to Kaiser Permanente. Community-based doctors say they don’t automatically receive faxed information about the hospital visits of their patients like they used to, causing billing delays. 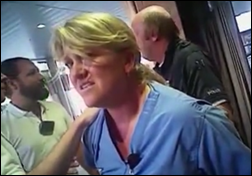 The Salt Lake City, UT police chief fires the detective who handcuffed an ED nurse who refused to allow him to draw a blood sample from a patient without obtaining a warrant as hospital policy requires. 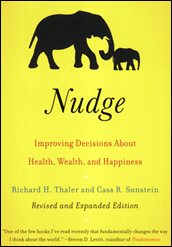 The work of Richard Thaler, who just won the economics Nobel prize, has healthcare implications. His specialty is behavioral economics, which studies why people act irrationally when it comes to money, why they fail to stick with their plans, and how they choose whether to act selfishly or selflessly. He says people segregate money in mental accounts and it’s easier for them to spend someone else’s money. He also urges organizations and government to nudge people to help them make good decisions, which would make his observations on the US healthcare system interesting. He said previously that employer healthcare insurance sites are too complicated, such as displaying deductibles as a full-year sum while pricing premiums by the paycheck. One of his significant contributions involved 2006 federal retirement savings plan changes that encouraged employers to make participation opt-out rather than opt-in, which doubled participation, although he’s disappointed that companies encourage under-contribution by setting the default contribution at the minimum amount instead of escalating it over time. 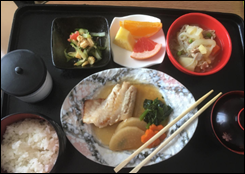 A woman in Japan posts Instagram-worthy photos of the hospital meals she was served following the birth of her child, making it obvious that they do things differently there. Colquitt Regional Medical Center (GA) describes the benefits it has seen from its summer 2016 go-live on Meditech 6.1. Fortified Health Security President Dan Dodson will present “Out of the Dark: Seeing and Securing Network-Connected Medical Devices” at the Raleigh Health IT Summit on October 20. Aprima will exhibit at the American Academy of Home Care Medicine Annual Meeting October 13-14 in Rosemont, IL. Besler Consulting will present at the SC HFMA Fall Institute October 12 in Greenville. Black Book publishes the results of its annual outsourced coding and HIM market client experience surveys. CoverMyMeds partners with Pelotonia to raise over $100,000 for cancer research. CTG will exhibit at the Northwest Arkansas Technology Summit October 17 in Rogers. Direct Consulting Associates, Imprivata, and InterSystems will exhibit at the Health Connect Partners Hospital & Healthcare IT Conference October 18-20 in Chicago. Dimensional Insight will exhibit at the HFMA Region 2 meeting October 18 in Verona, NY. FormFast will exhibit at the ASHRM Annual Conference & Exhibition October 15-18 in Seattle. 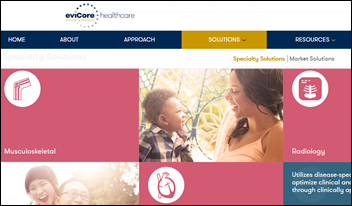 Healthwise will exhibit at Philips Connect2Care October 16-18 in Los Angeles. also see the NYTimes article: https://www.nytimes.com/2017/10/11/magazine/why-are-more-american-teenagers-than-ever-suffering-from-severe-anxiety.html correlation of depression in teenagers to smartphone adoption. The TENVIS camera note was timely as one of my old Foscam 8918 cameras just died. The TENVIS TH661 works fine. I disabled P2P and DDNS, configured the camera the “old fashioned way” with external access via port forwarding. Their FIRMWARE upgrade page at apps.tenvis.com is woefully out of date; a newer version is already loaded on the camera; no useful indication as to where to get future updates. It works with my preferred viewer: TinyCam Pro. No encryption/https available (same as the old Foscam), userid/password are sent in the clear. Avoid usage on public Wi-Fi. Primary use: Is the garage door closed? [Camera + Chamberlain Garage door opener answers: If no one is home (i.e. no cars in the garage) then close the garage door.] Did I miss some security/encryption capability by bypassing P2P? Loading up on wine futures? Really? ?